Q: How do you feel about winning this month’s Supercharged round? A: I feel amazing! You can’t even imagine how happy I was when I learned that I was the winner. Q: Why did you decide to participate in the Contest? Do you think you can win the top prize, Tesla Model S? A: To tell the truth, when I saw the prizes that are so big and valuable, I thought: wow, I have to try! I must win the contest for my family and for my country! The ultimate prize is so appealing that my only option is to do my best and finally win it. Q: Are you an involved Forex trader? A: Well, I do work hard. As a matter of fact, I work 18 hours a day, designing the best strategy and the most suitable plan that can help me to win. When I have a few tried and tested ideas, I pick the best one and implement it. Q: So is Forex your full-time job? A: Yes. I’ve been trading for the past 6 years. I did my MBA and then I realized that I don’t want a usual office job, so I focused on Forex trading. Q: What would you recommend for those who are only planning to take part in the contest? A: Select your goal and focus on it. Search for the possible ways to achieve it and then try a few plans. Work hard to finally get what you want. This is actually my piece of advice: your success is your hard work, hard work again and even more hard work. But at the end of the day, when you find yourself a winner, it’s all worth it. The final round is just around the corner, so don’t lose your chance to get Tesla Model S! 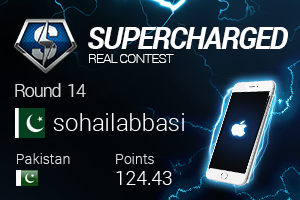 Register in our Supercharged contest now and fight to win! Meet newly announced Round 30 cTrader weekly demo contest winners! One more round of cTrader weekly demo contest is over, and we are happy to greet our 5 lucky winners! OctaFX introduces local bank deposits option in Malaysia! We are ready to announce that Malaysian customers can now use local banks for making deposits! From now on you can easily deposit and withdraw funds from your account via local banks in Malaysia, namely Maybank and CIMB Bank.